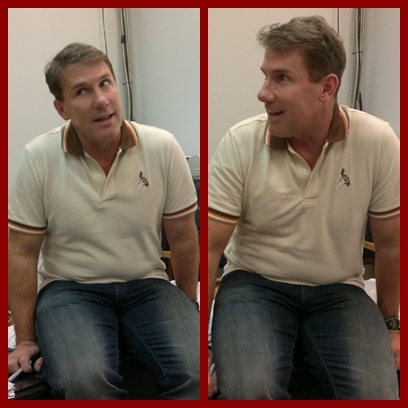 By 10:45am, Nicholas Sparks arrived. His signing was set at 11:00am. I told my boss that I wanted to have a photo taken with him. She told me that he was at our back office. I went there and I was introduced to him. I was all smiles with my heart racing at 150 beats per minute. He signed my nook, too! Good thing I didn’t pass out while I was trying to control all the muted screams inside me. Haha! I was able to stay a while longer with him, listening to some of his stories. HE IS WAY BEYOND NICE! There was no trace of I-am-a-superstar-get-over-it kind of attitude. 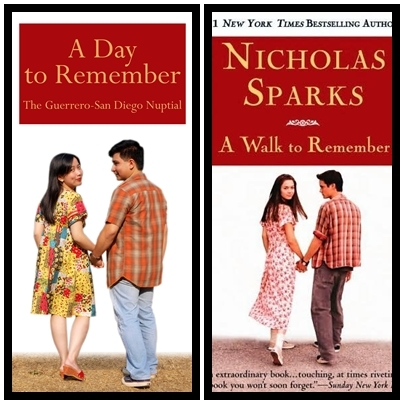 He even shared his own humble beginnings as a writer—how only 1 person attended his book signing when “The Notebook” was released in 1996—and a funny story that was not meant for video coverage or voice recording. If you want to know what that is, send me a message. Hahaha! 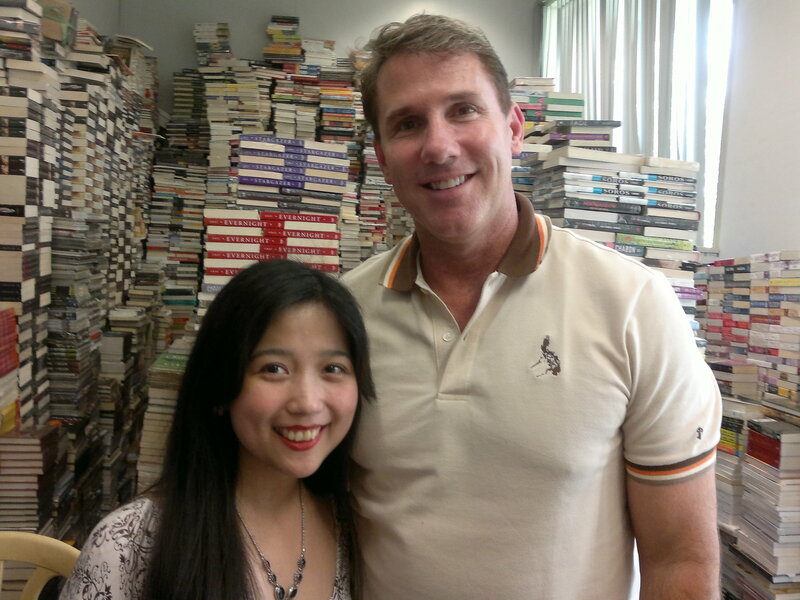 The previous day, he signed 1,200 books in Podium. 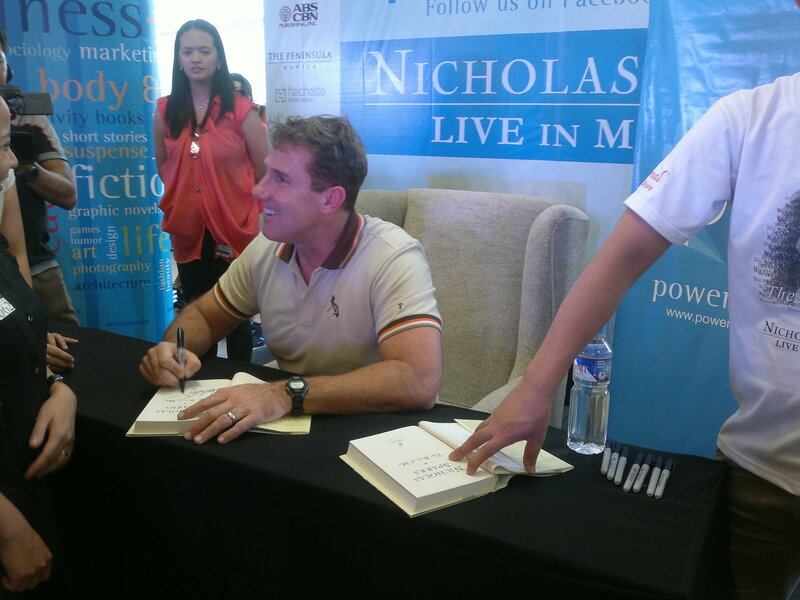 He signed around 400 books in Powerbooks that day. During the short interview, he was asked why his major characters end up dying. He said that it’s simply reality. One dies, one gets left behind. He said, “the greater the love, the greater the tragedy”. Here are some trivia—he can sign 100 books in 20 minutes. Our marketing people said that he didn’t even complain with all the books that he had to sign. He was low maintenance, very much willing to do whatever was requested of him. He came here without an entourage! He flew from the US to the Philippines all by himself; and (here’s what’s more extraordinary) he didn’t even take a first class flight, he opted for business class. Who would do that these days? I mean he’s like a big shot in the industry but he does not acknowledge that even in his own vocabulary. No wonder his success has been steady and sure. 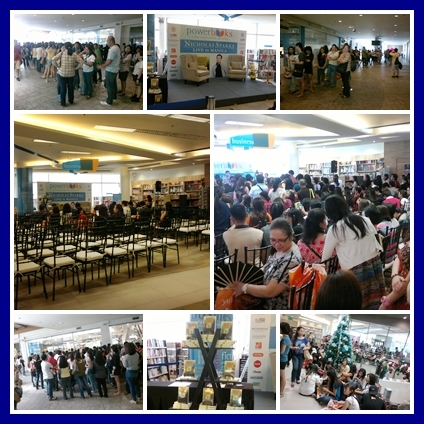 I’m sure he will continue to write more bestselling books that will be turned into box-office movies just as he will continue to captivate the hearts of more readers. Hi ivy!!! Saw your post at Read Philippines 😀 I didnt know you were affiliated with Powerbooks! Lucky You!!! 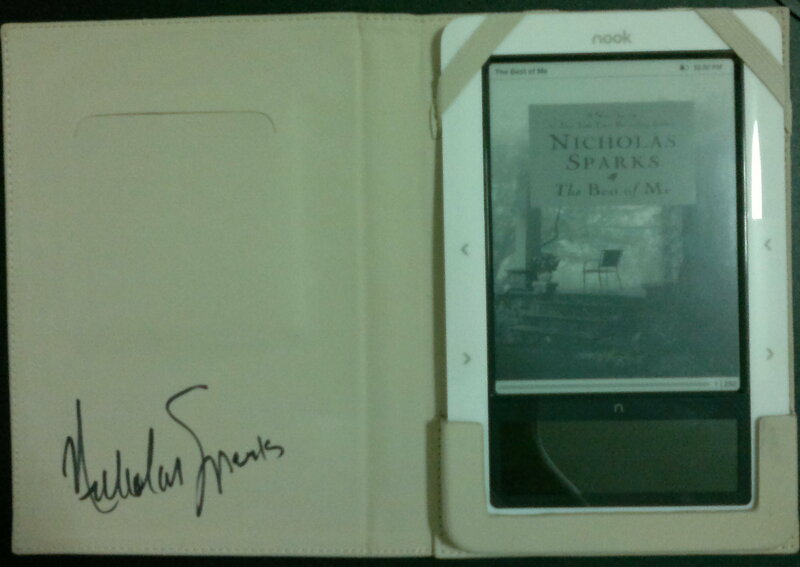 Your photo collage is really neat and that signature on your Nook rocks!!! Haha! Thanks! Good thing my hubby indulged me! Hehe 🙂 When Nicholas Sparks found out about it he said, “Awww…sweet”. I nearly died. Hahaha!